In the Netherlands the birthday of Saint Nicholas – or Sinterklaas in Dutch – is celebrated on the eve of 5 December. It is mainly a feast for children, but when the children stop ‘believing’ the feast becomes even more fun. In my family we celebrate the Dutch equivalent of Secret Santa, which does not consist just of an anonymously given present. The gift is accompanied by a poem, in which the receiver is often scolded in a humorous way for annoying or funny character traits, or with younger children the poems are just sweet. And to make it even more fun the present is disguised as a surprise. Some people make very simple ones, other surprises are quite elaborate. 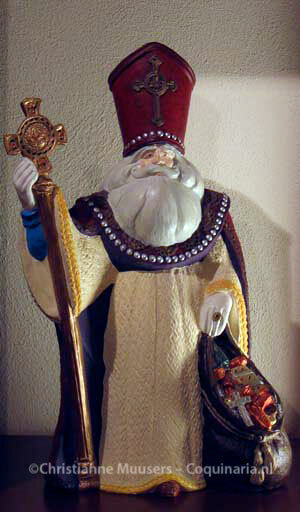 If you are interested in the Dutch Sinterklaas, you can read more on this subject on Wikipedia. There are several foods that are traditionally eaten around Sinterklaas. Below are links to recipes for these sweet and savoury snacks. 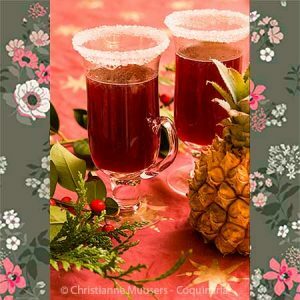 Some of these recipes are already available in English, others will follow. There are even some ideas to use food as a surprise. However, I must confess that few Dutch people make the sweets and savoury snacks, or even the bishop’s wine, at home. Most of them just buy everything ready-made in supermarkets, and that is a pity. There is no sweeter scent than that speculoos baking in the oven. Not all recipes have been translated yet, but that will happen in the (hopefully near) future. 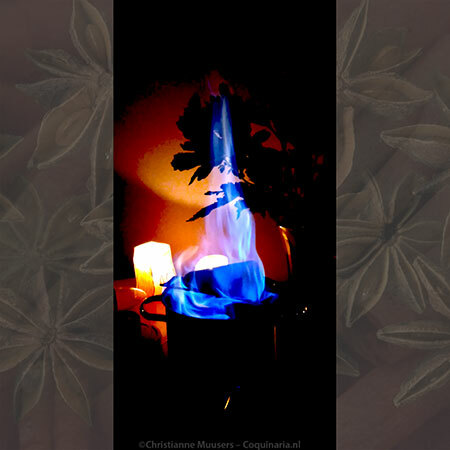 By the way, if you want to share these recipes online, please do not copy-paste them but just link to this page. Thank you. Some food can be used to conceal a small present, as in the marzipan hedgehogs from this recipe. Jelly is also a possibility, especially if you made jelly thatis not meant to be eaten. Then, al kinds of colours can be added, and glitters and other things, like in the picture of the Barbie dolls in the bath. Only, take care that the gift is wrapped in a watertight package, because jelly is liquid to begin with. Or bake a pie crust, using a blind filling that can be substituted after baking with the real gift. The lid can be decorated with Sinterklaas symbols or something that has meaning for the receiver of the gift. 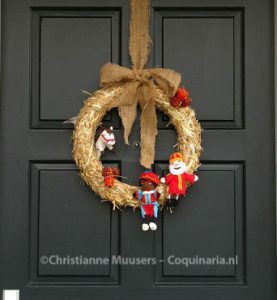 And on the left is a variation on the Christmas door wreath: a Sinterklaas door wreath.